Date: Apr 25 2019, 4:30 p.m. - 6:30 p.m.
During April, Pet Abuse Awareness Month, the Family Advocacy Program urges you to Commit to Compassion. 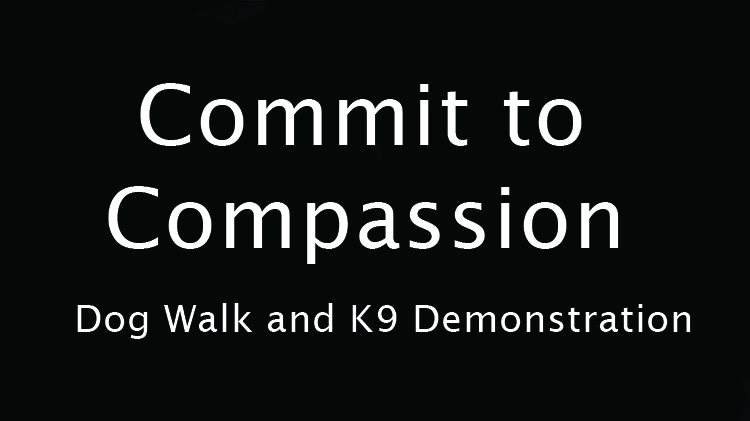 Join us from 4:30-6:30pm April 25 at the Dog Park on Zuckerman for a free Dog Walk and K9 Working Dog Demonstration. All dogs must be registered at the Fort Benning Vet Clinic. For more information, call 706-626-2614.